Viel mehr als eine Ausstellung. 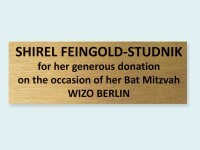 Die WIZO Frankfurt ermöglichte uns im Rahmen der diesjährigen Israel Reise der Lichtigfeld Schule einen Besuch in der WIZO Nir Haemek Schule bei Afula. Dabei konnten wir sehen, wie aktiv die WIZO im Bereich der Integration von Kindern mit Migrationshintergrund ist. Das vielfältige Kursangebot, wie z.B. landwirtschaftliche Betätigung, aber auch die kreative Förderung in unterschiedlichen Bereichen (Schüler Radiostation) führt zu einer in sich stimmenden Unterstützung des Lehrangebots. Für unsere Schüler war vor allem der Austausch mit den israelischen Schülern vor Ort eine sehr bereichernde Erfahrung. Dadurch erfuhren sie mehr über den israelischen Alltag im Norden Israels und was israelische Jugendliche in ihrem Alter beschäftigt. Wir freuen uns schon sehr darauf, auch im nächsten Jahr eine der WIZO Einrichtungen zu besuchen! Every year in June my husband Volker and I go to Israel to spend two weeks-holiday there. We meet friends, hike in the desert, sit at the beach. Breathing in Tel Aviv, one inhales more air, than in any other place in the world. It seems to be just like this. However, this year, in addition we had the great pleasure to visit projects which are supported by WIZO. Deputy Chairperson Avital Blumenthal came to our hotel to pick us up. 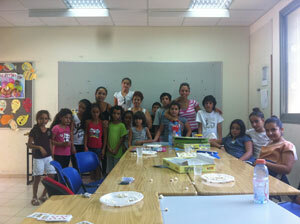 Together we went to the Luba and Moshe Korn Day-Care Center which is sponsored by “my WIZO group” in Germany. We were received most kindly by Sagit Simon, who has been director of the day-care for the last sixteen years. She explained to us how the work with the children is organized and showed us the rooms with the different groups. All the children seemed to be very content and interested in what the teachers were arranging. Singing, dancing, painting. When the door was opened they gaily dashed outside to play in the yard with their little bicycles and cars. It was heartwarming to see and hear all this. What surprised us and made us especially satisfied is the fact that the delicious meal (for lunch we got a taste of it) is freshly prepared everyday by the center´s cook. 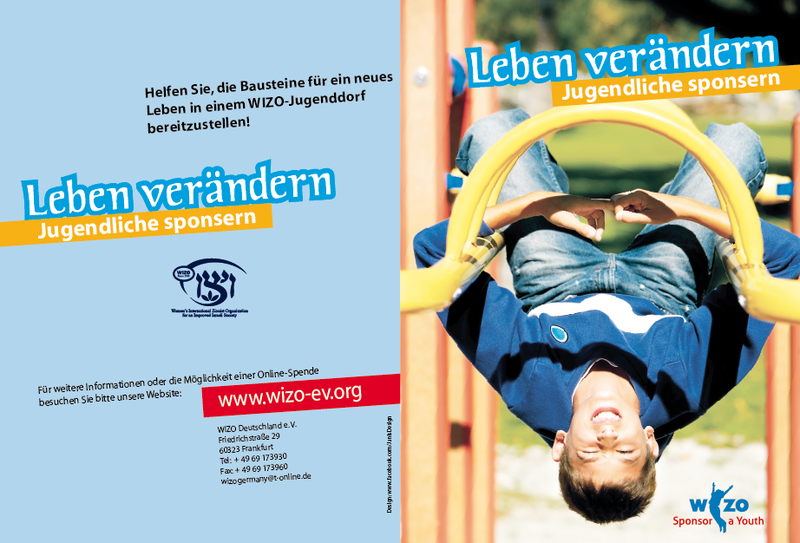 Immediately we thought of our WIZO Gala in Frankfurt, where sponsorships are offered to cover the annual costs for the meal for one child or more. I must admit it really makes a big difference if you know the theory that a child somewhere in Israel gets food from your support or have seen the children who enjoy what´s offered to them. Everything was delightful, we left looking forward and curious of visiting the next project which (as Avital explained to us in the car) is supported by WIZO South Africa. Together we entered a nice house in a well kept street in Herzliya. Eli and Ariella, a very friendly couple, was waiting for us and showed us around. After having raised their own daughters (as members of a Moshav), they now live in this house as foster parents to eight children, whose biological parents are not able to keep them at home because of difficult circumstances. And that´s the point that struck me most. The kindred mothers come and see their children from time to time or take them home for a weekend. It was revealed, that these wonderful foster parents not only have to deal with the children but also with their mothers (or fathers as necessary). I said to my husband: ”These people must be Saints to live such a life.” But actually they provide a real family for these children (teens most of them! ), caring for them day and night. Just when we went out into the little yard, which is a cozy place for the big family to sit and relax in, Tova Ben-Dov and Janine Gelley came in together with a WIZO member and her husband from South Africa. 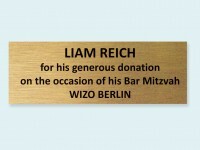 It was proof, that WIZO members all over the world not only are sponsors but that there is a special bond between them. As if we were old friends we all drank coffee and ate the delicious cake together which Ariella had prepared for us. We got the impression that the foster parents, striving for a fulfilled life are not heavenly people but are down to earth knowing very well what they are doing and that they really love the children they are responsible for. They told us that WIZO owned four more houses in the neighborhood with foster parents and they all have good relations with each other. Most of those children, who are old enough to leave the foster family, call and come back from time to time to the places where they´ve found care. That is how the parents are rewarded. The seeds they plant present them with love in abundance. And it is good to be part of it. 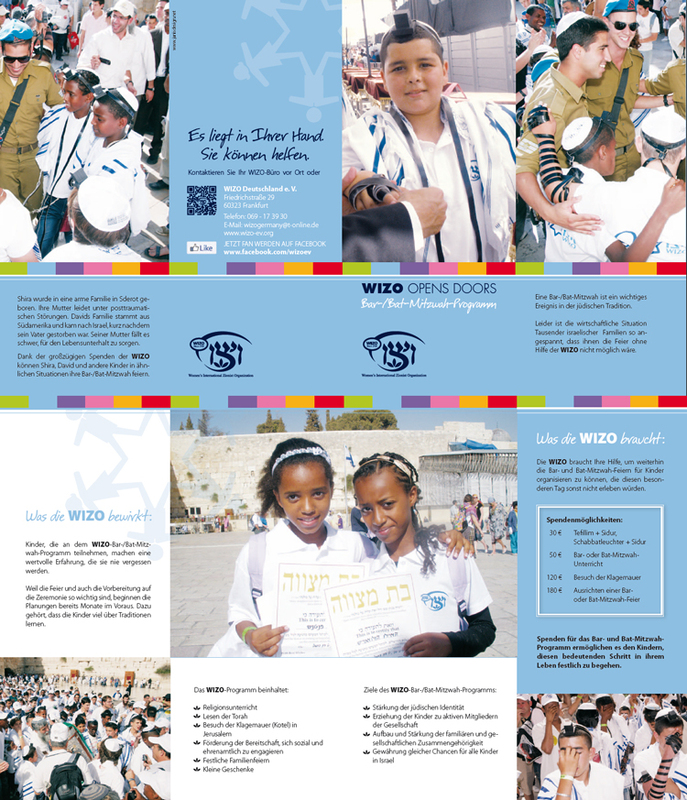 It is good to be a WIZO member! Fast einstimmig wurde am 26. Januar der neue WIZO-Vorstand gewählt. Rund 60 Damen drängten sich im Glas-Pavillon des Crown Plaza Hotels, um den »alten« WIZO-Vorstand gebührend zu verabschieden und gleichzeitig den Neuen zu wählen. Aus Frankfurt waren speziell für diesen Anlass Diana Schnabel, Präsidentin der WIZO Deutschland, und Simone Graumann, Vizepräsidentin der WIZO Deutschland, angereist. Feierlich übergab Diana Schnabel Michal Gelerman, der scheidenden Vorsitzenden aus Berlin, den »Rebecca Seiff Award« für ihren unermüdlichen Einsatz. 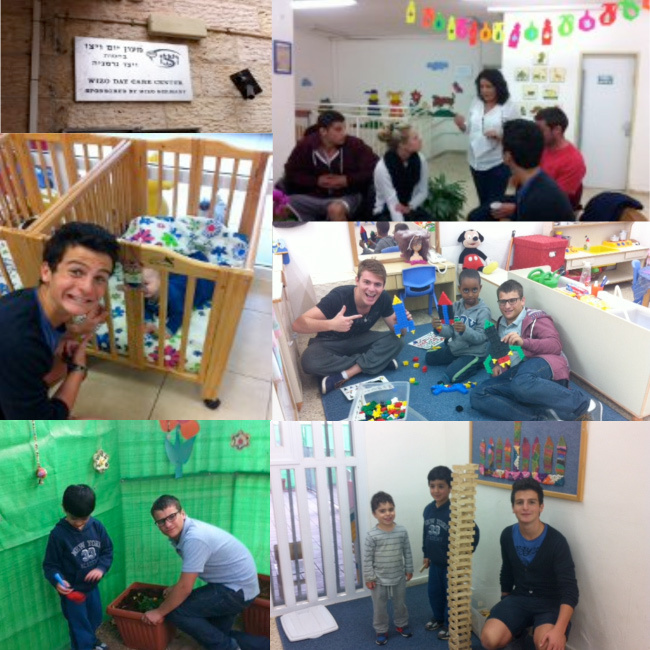 Yesterday was Good Deeds Day in Britain, and six youngsters, who are spending their gap year between school and university in Israel, came to the Helene and Nadine Multi Purpose WIZO Day Care Center, sponsored by WIZO Germany, in Jerusalem to contribute their good deeds on this date.The Day Care Center is a multi purpose Center, in an area called Neve Yaakov, which was built after the Six Day War and is largely populated by immigrant communities, the Former Soviet Union, and from Ethiopia. At the present time the area is undergoing a transition towards ultra orthodoxy, which has also has an effect on the Day Care Center. The youngsters, each one with a huge smile, from London, Manchester and Leeds, were full of enthusiasm from the minute they arrived. They were given a review of the activities of WIZO, in the Day Care Centers, describing the different types of Day Care Centers, the significance of Multi Purpose Day Care Centers, the work of WIZO volunteers in junior schools and the afternoon centers, our schools and youth villages, our activities with women, our activities in the UN, etc. I tried to convey to them that WIZO is a huge organization, with far more influence on society than they probably have ever heard about, or will ever hear about. They learned about British WIZO, and how our mother foundation began. They also learned about the scope of WIZO federations around the world. All this was done briefly, in the entrance hall of the Day Care Center, which, by the way, is a delightful building, airy and welcoming. The group was taken through the different classes, from the sleeping babies in the babies class, and through two Haredi (ultra orthodox classes). 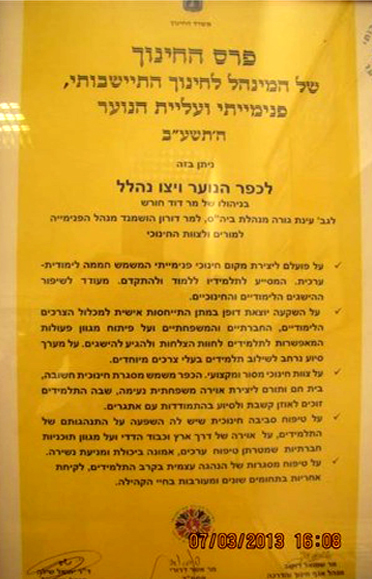 These two classes were set up following requests from the ultra orthodox in the area, who wanted their children to have the education that they perceived as important, and given by staff who were dressed according to the high levels of modesty that fathers want when calling for their children from the Day Care Centers. We were also told of a number of Arab children in the Day Care Center, and I, myself was very proud of the way that WIZO accommodates different sectors, whilst teaching mainstream values.The boys and girls then joined the children in the kindergarten class, and it was here that the fun began. As the kindergarten teacher said, ‘Play knows no language’, and this was so true as the two groups bonded together, playing and frolicking, enjoying one another, on the slides, playing football, rolling on the floor of the outside playground…..it was a case of ‘everything goes’.The Director of the Day Care Center explained that for most of the children, this opportunity to see the youngsters, especially the males amongst them, was very special. They rarely receive any attention from the men in their lives, many of whom are non existent, and others who are short tempered. They hung on to the visitors, not wanting to let go of them. Gosh………………….we have built a tower bigger than us!!!! The group then came back into the building, and sat around tables, drawing, painting, building. The volunteers were full of ideas and kept the children occupied for over an hour.Some parents then began to arrive, and joined the volunteers in planting window boxes, together with their children, in just one of the activities that WIZO operates as part of its efforts to work with parents, and improve parenting skills. We are not sure who is having more fun!After a meal, lovingly prepared by the staff, this very special afternoon came to an end. I wish to pay tribute to the warm atmosphere in the Day Care Center, the love of the staff towards the children, which was very evident – and the goodwill of all involved for making this a very special experience for both the children, and this wonderful group from the UK. I am grateful to have had the opportunity to be part of such an exciting visit. JÖRG-UWE HAHN, hessischer Staatsminister, ließ es sich nicht nehmen, anlässlich eines Kurzbesuches in Israel eine WIZO-Kindertagesstätte in Yafo – in der Nähe von Tel Aviv – zu besuchen. Er war beeindruckt von dem großen persönlichen Engagement der Erzieherinnen, die ca. 90 Kinder – davon ein Großteil aus arabischen Familien – bis zu 12 Stunden am Tag liebevoll umsorgen und betreuen. Begleitet und mit wichtigen Informationen versorgt wurde er von der Vorsitzenden der WORLD WIZO Prof. RIVKA LAZOWSKY sowie von JACKY SCHNABEL, dem Ehemann unserer Deutschland-Präsidentin DIANA SCHNABEL. Wir schätzen es sehr, wenn auch Politiker ihr Interesse an der Arbeit der WÌZO vor Ort bekunden, und wir wünschen uns, dass in Zukunft noch mehr politische Repräsentanten Deutschlands unsere WIZO-PROJEKTE in Israel besuchen werden. DIE WIZO HILFT, WO SIE KANN! Wir alle hören und sehen gerade in diesen Tagen ständig Nachrichten und sind im Internet, um immer auf dem Laufenden über die Ereignisse in Israel zu sein. Man hofft auf einen „Waffenstillstand“-auf ein wenig Ruhe für alle Menschen in dieser Region, aber es scheint nur immer schlimmer zu werden! Stündlich kommen Nachrichten herein mit neuen „Horrormeldungen“. Hier finden Sie Informationen darüber, was auch die WIZO in dieser schweren Zeit in Israel leistet. Die WIZO Schule und Jugenddorf NAHALAL, gesponsort von Canadian Hadassah WIZO und WIZOuk, hat vom Ministerium für Erziehung und vom Ministerium für Landwirtschaft und ländliche Entwicklung eine der höchsten Auszeichnungen erhalten! of the Authority of Rural Education, Dormitories and Aliyat Hanoar,of the Ministry of Education. Congratulation to everyone who is involved in the highly regarded work that is being carried out in the youth village and thanks to Canadian Hadassah WIZO and WIZO uk, for their sponsorship of this unique school and youth village. “ROOMERS” teilt – WIZO dankt! Genießen, anregende Gespräche führen und dabei Gutes tun? Am 4. 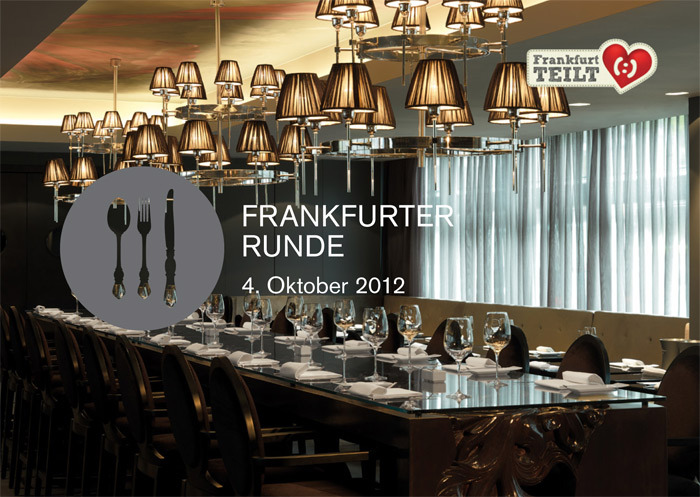 Oktober veranstaltete das Roomers ein Charity-Dinner der besonderen Art. Begleitet von Livemusik wird ab 19.30 Uhr für einen guten Zweck gemeinsam gegessen und geplauscht. geselligen Tafelrunde auf großen Platten an. Sehr geehrte, liebe Frau Grüngras und alle Damen der WIZO! 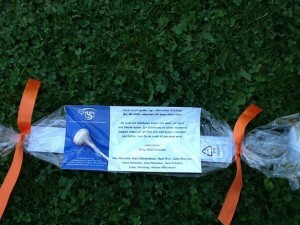 Haben Sie vielen, herzlichen Dank für die so liebevoll eingepackten Geschenke für die Erstklässler! Sehr gerne werde ich diese am ersten Schultag verteilen. Die Kinder werden sicher viel Freude an dieser tollen Überraschung haben. Ihnen allen und Ihren Familien wünsche ich ein gutes, gebenschtes, friedvolles Jahr 5773 sowie viel Erfolg für Ihre wichtige Arbeit in der WIZO, behazlacha! Schana towa, ketiwa wechatima towa! Am 26. Juli 2012 besuchte das Israel Machane der ZWST das Jugenddorf der WIZO in Kiryat Shmona. Die 38 Chanichim waren besonders angetan von der herzlichen Gastfreundschaft, mit der sie vor Ort willkommen geheißen wurden. Der Leiter des Jugenddorfes empfing die Gruppe persönlich und erzählte den Teilnehmern bei einem Imbiss mit israelischer Musik, über das Wirken und den Alltag im Jugenddorf. So werden hier Kinder und Jugendliche auf die verschiedensten Weise betreut, unterstützt und gefördert. Bei einem Rundgang konnte man die unterschiedlichen Aktivitätsbereiche des Dorfes besichtigen. Besonders die persönlichen Berichte über den Standort des Jugenddorfes in Kiryat Shmona und die damit verbundenen Gefahren in Vergangenheit und Gegenwart bewegten die Teilnehmer sehr. Dies galt auch für die Besichtigung des Notfallbunkers des Jugenddorfes sowie der Gedenkstätte eines im Libanonkrieg gefallenen Soldaten, der seine Jugend im Jugenddorf verbrachte. 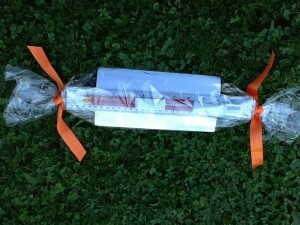 Vergegenwärtigt wurde das Leben mit der alltäglichen Gefahr durch die Besichtigung der Einschläge der Katjuscha Raketen, sogar in den Wohn- und Aktivitätsräumen. Der Besuch hinterließ einen bleibenden Eindruck bei den Jugendlichen.